How much does inadequate Internet connectivity cost your business? Are you aware that employee productivity can suffer because of slow broadband in your office? If you could do more with the same amount of employees, resulting in a increased bottom line, would that at least catch your attention to listen for more details? Whether you're working remotely from home or running a business in Bethesda, Maryland, your broadband speed can have a tremendous impact on your productivity and your profits. Across industries that heavily rely on the Internet, an employee is unable to complete their normal job responsibilities for up to 44 minutes every week due to a slow connection. Imagine if you have ten employees, that's roughly 7 hours or a day's worth of work wasted in a week! Organizations, whether big or small, now rely on the Internet for the majority (if not all) of their tasks and project management -- from utilizing software to data storage to cloud-based utilities. 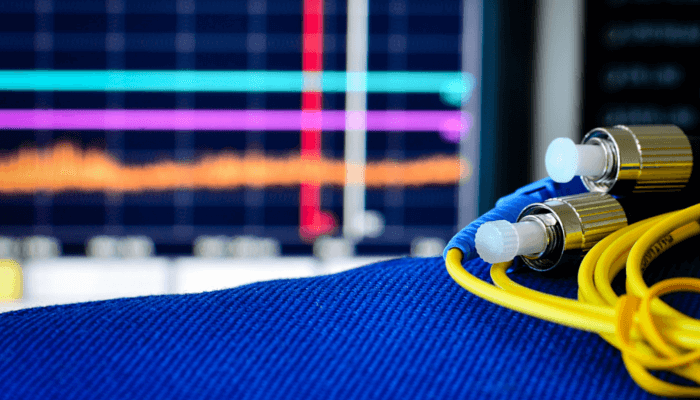 The spike in data and bandwidth usage also necessitates connection that will transfer data seamlessly and quickly. What kind of fiber presence Atlantech has in Bethesda? 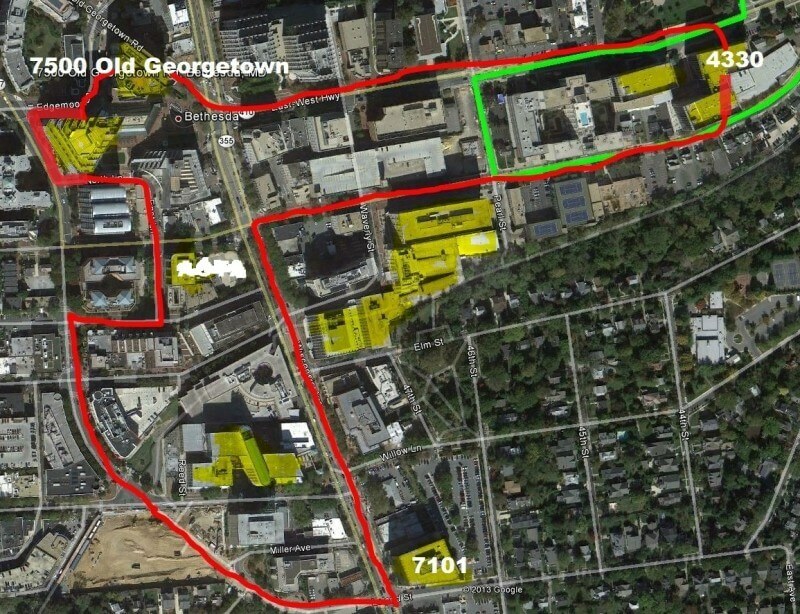 Atlantech has a fiber ring right at the heart of downtown Bethesda. It goes along Wisconsin Avenue and East West Highway. Currently, there are two dozen buildings in the area that are already connected to the ring. The majority of the buildings have dual fiber entrances, and our equipment is on an emergency generator power so that if there is a utility outage, we can still deliver service. This is ideal because much like an emergency fire exit, a secondary entrance mitigates potential outages if the primary fiber circuit is ever damaged. While this is a rare occurrence, installing through two entrance points removes risk, and adds a layer of reliability to your network. Does it take a lot of work for fiber to get installed in my building? 1. Performing a quick site survey to determine a fiber path. 2. Executing a building access agreement with the landlord. 3. Installing our equipment into a secure area with redundant power. 4. Pulling fiber into the building and terminating it into our switch. What if I'm not within a block or near one of your fiber rings? What are the options? If your current location is not within the coverage of our fiber ring, we may be able to build a business case to get into the building. Atlantech will lease fiber from other carriers or build out a ring directly if demand is high enough to justify the cost. What exactly is involved in the process of moving to Atlantech's fiber Internet? Once fiber is installed in your building, we can quickly quote tenants like you for service. Connecting you to our main switch is a breeze, and is typically accomplished within 24 hours of executing an agreement. It begins with provisioning a port on our switch, and assigning your own VLAN and an IP address subnet (IPv6 ready!). Afterward, we will extend copper or fiber, depending on how far you are from the switch. We will also install a demark device that has an Ethernet interface you can seamlessly use to connect your edge device (typically your firewall) to Atlantech's equipment. Speed is undoubtedly one of fiber internet's advantage. However, a granular look into its benefits eventually leads to optimized efficiency for both residential and commercial customers. Got concerns about fiber Internet costs or its availability based on your current Bethesda location? We'll be delighted to help you out! 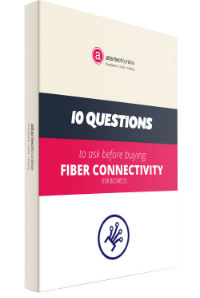 The expert fiber Internet consultants at Atlantech will not just help you find out the total cost of getting fiber in your area, but will also research all the available options to help you meet your serious need for faster broadband speed.